It’s actually freaked me out a little writing this post as it means it’s April and we are more than a quarter of the way through the year….. I made two promises to myself this year – to go to the gym more and work less. So far I’m only doing the former so I’m annoyed at myself that its this far through 2018 and I haven’t done anything about the work situation.. but literally where does the time go!? As I’ve mentioned many times before I have a long term eye condition called Posterior Blepharitis that unfortunately I will never be able to cure, but I have learnt how to keep it under control. One of the methods I have to do daily to stop my condition flaring up is use a heated eye mask – I know it’s a pain in the backside! I’ve started using the Spacesasks instead of my normal eye mask (that you heat up in the microwave) and I’ve been loving the change. The Spacemasks pack contains 5 disposable eye masks that heat up within minutes of wearing them and have a beautiful light jasmine scent. They stay in place with two elasticated hoops that you pull over your ears but you really can’t feel that they are there. I love the ease of them and that I can use in the bath – 10 minutes of pure relaxation that always makes me nod off! FYI… I’m not recommending you nod off in the bath btw! 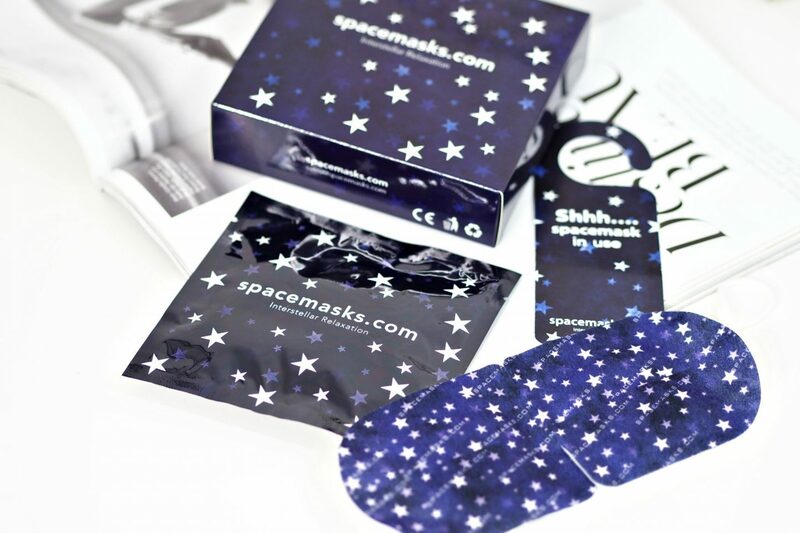 Although I’ve not tried it yet I can imagine these masks would be great if you wanted to get some sleep on a long plane journey as they are so relaxing and help ease the dry eyes you can experience on planes. I’m definitely going to be packing some on my next flight! You can buy Spacemasks here – either one for £3.50 or a pack of 5 for £15. 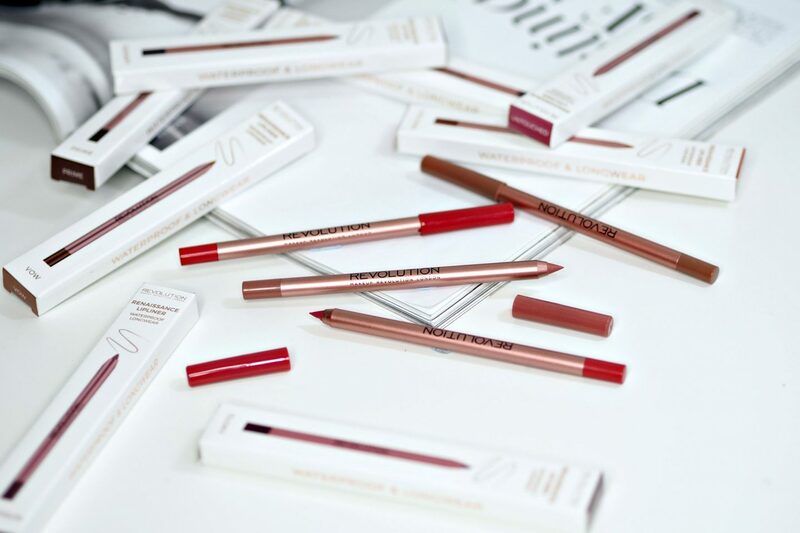 If you are looking for a highly pigmented and incredibly smooth lip liner then look no further than the Makeup Revolution Renaissance Lip Liner. These lip liners are so soft and creamy you could almost use them as a lipstick on their own. They come in 10 shades and cost only £2.50!! You can buy the Makeup Revolution Renaissance Lip Liners here. Towards the end of March I started using the Crown Scandalous Eyeshadow Palette and I’ve been loving using it so far. If you follow me on Instagram Stories you will have seen quite a few different looks I’ve created with it. As with the other Crown Rose Gold palette I own, the colours are pigmented, creamy and are such a good value for only £22.99 – when you get 35 colours you just can’t go wrong at that price. 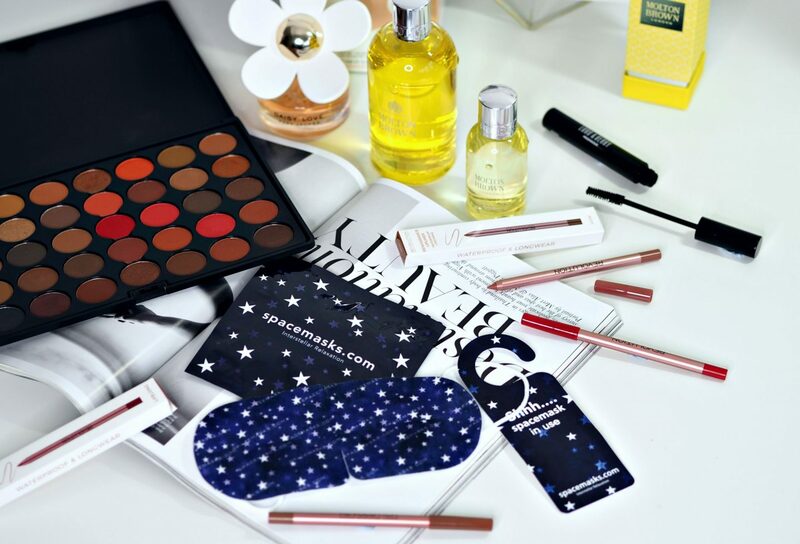 The palette contains matte and shimmer shades which are mainly warm and neutral toned. 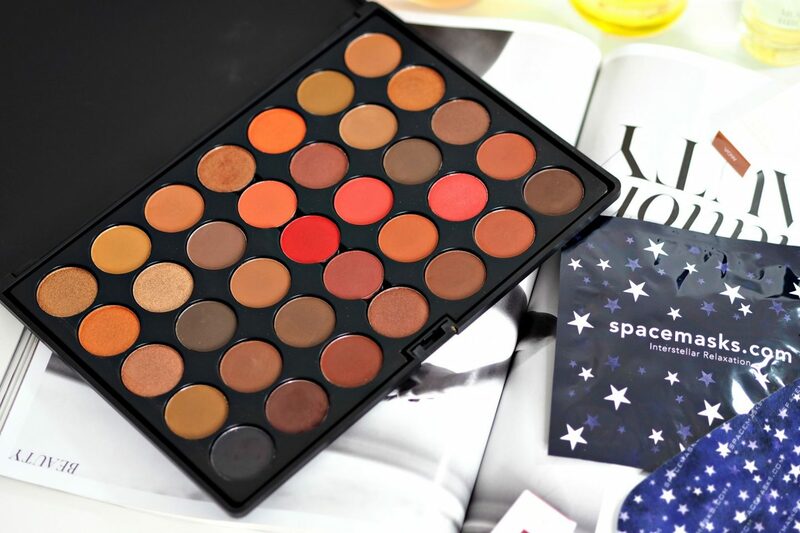 You can buy the Crown Scandalous Eyeshadow Palette here. If you’ve ever seen Molton Brown products in any of the luxury high end hotels in London it’s likely to have been in their iconic Orange & Bergamot scent. The Molton Brown Orange & Bergamot fragrance has been one of their best sellers and has been used for years in their hand and home products. It’s now been brought out in a new Eau De Toilette and in luxury body products, such as the bathing oil (pictured), body oil and body polisher. I’ve long been a fan of Molton Brown products and I love the traditional scent that this range has. It’s very uplifting with bitter orange, neroli and bergamot which is perfect for Spring. 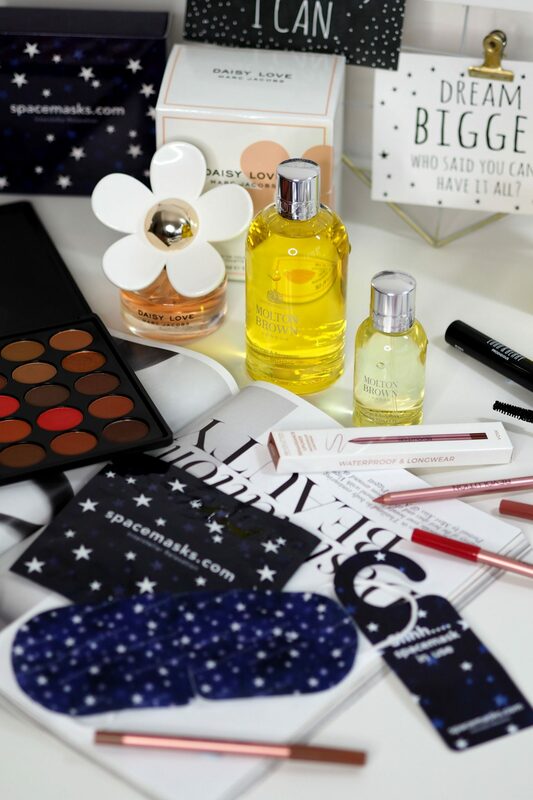 Their bathing oil is ideal when you want to treat yourself to bit of luxury on a Sunday evening… ahh heaven. You can shop the Molton Brown Orange & Bergamot range here. 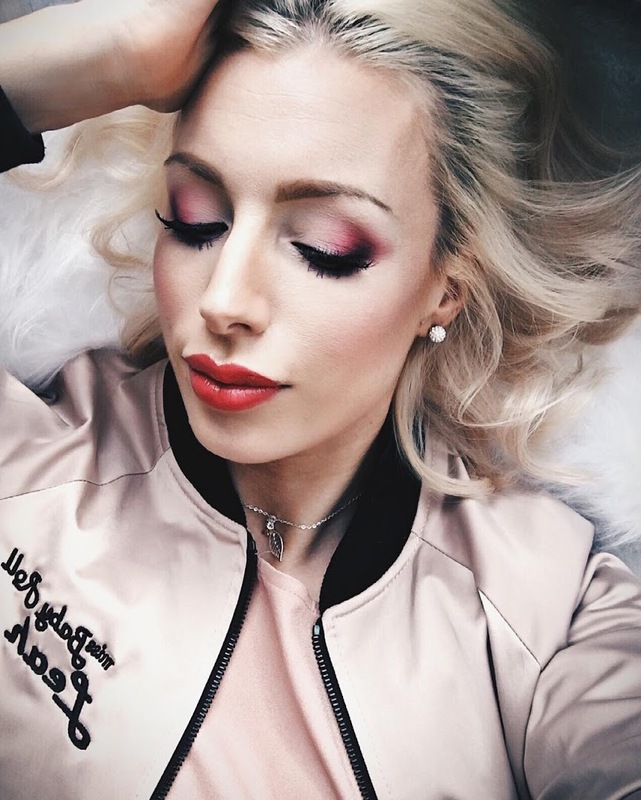 If you read my recent post Makeup I Can’t Stop Buying you will have seen that my favourite mascara a really old L’Oreal mascara that they has been discontinued for years but I still keep buying it on eBay! Well this Lord & Berry Prodigious Mascara is probably the nearest match I have found to it so far! 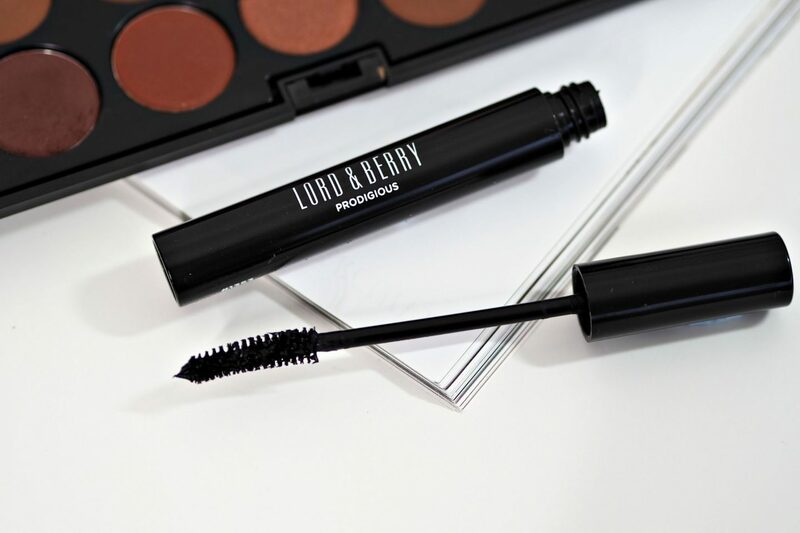 The Lord & Berry Prodigious Mascara separates my lashes, but also adds volume. It doesn’t flake or smudge and the curved wand means I can get right into the corner of my eyes with it. I’ve been wearing it every day since I got it in March as I love it so much. You can buy the Lord & Berry Prodigious Mascara here. 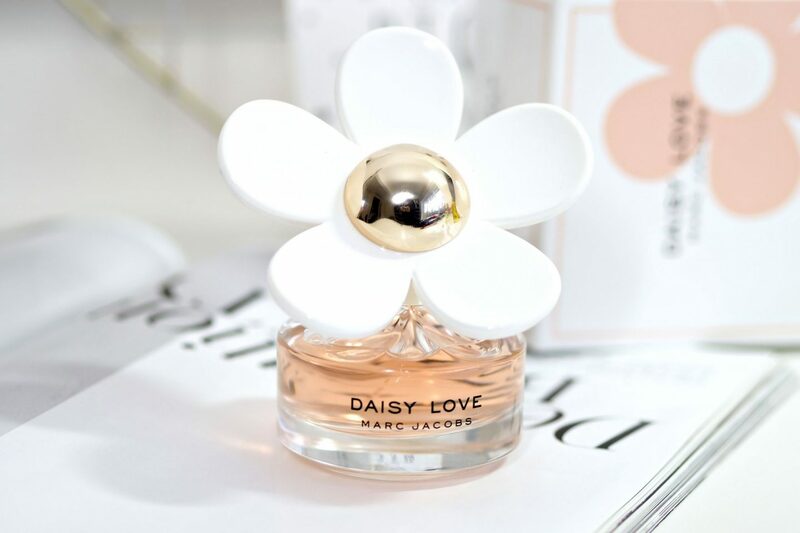 Marc Jacobs Daisy Love Eau De Toilette is a new edition to the iconic Daisy collection which launched in 2007 and created by master perfumer Alberto Morillas. Daisy Love is a very fresh floral fragrance with a woody musk base. It’s light and subtle and perfect for those times you don’t want anything too overpowering. I call this my “gym scent” (yes, I wear perfume to workout) as I don’t like heavy fragrances when I go to the gym. Marc Jacobs Daisy Love is currently exclusively being sold at World Duty Free until the 11th April and costs £65 for 100ml, which you can buy online here.